Talk to your tutor about your preferred method of paying bills. They can send you a bill for credit or debit card payments or for direct bank ACH payments. 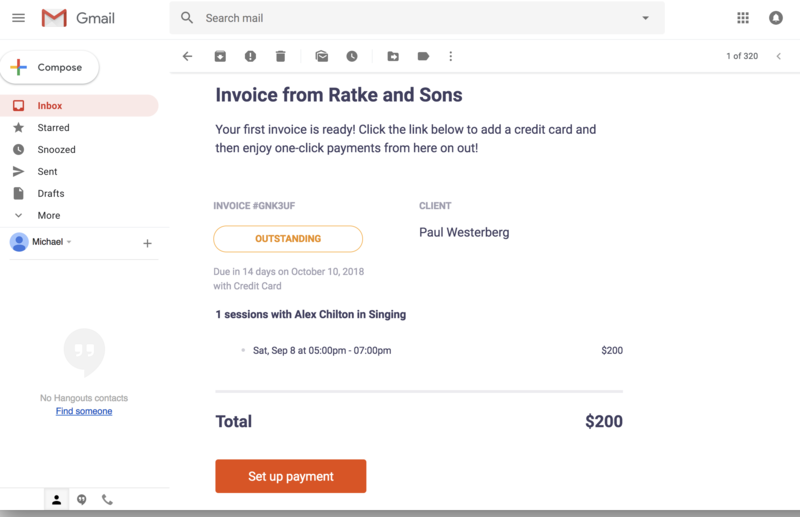 The first time you receive an invoice, you'll receive an email letting you know your first invoice is ready. 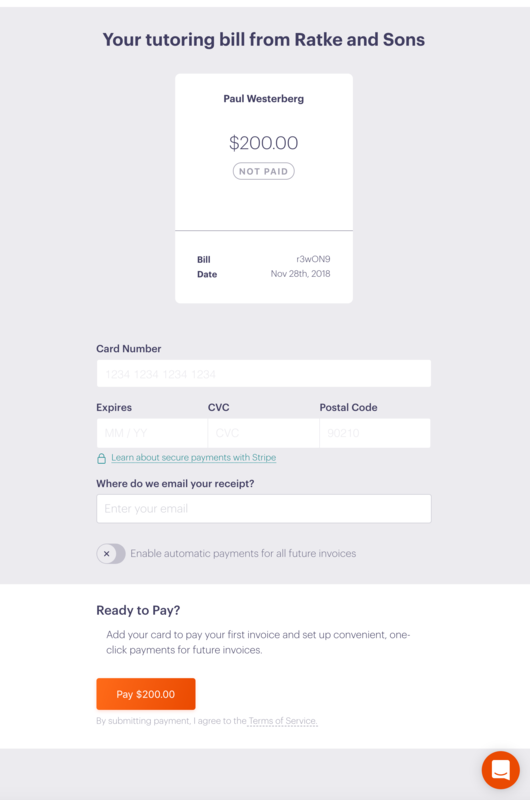 Select 'Set up payment' to preview the invoice and add a credit or debit card. Fill out the information, select 'Pay' and you're done! You'll receive a receipt via email. 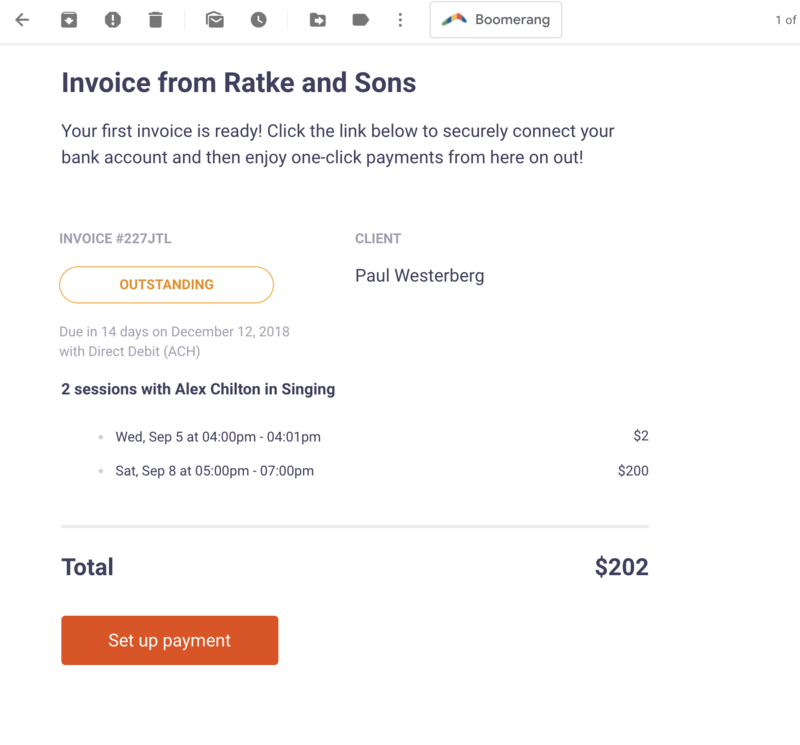 If you like to enable automatic payments for future invoices click the button below the email receipt box. 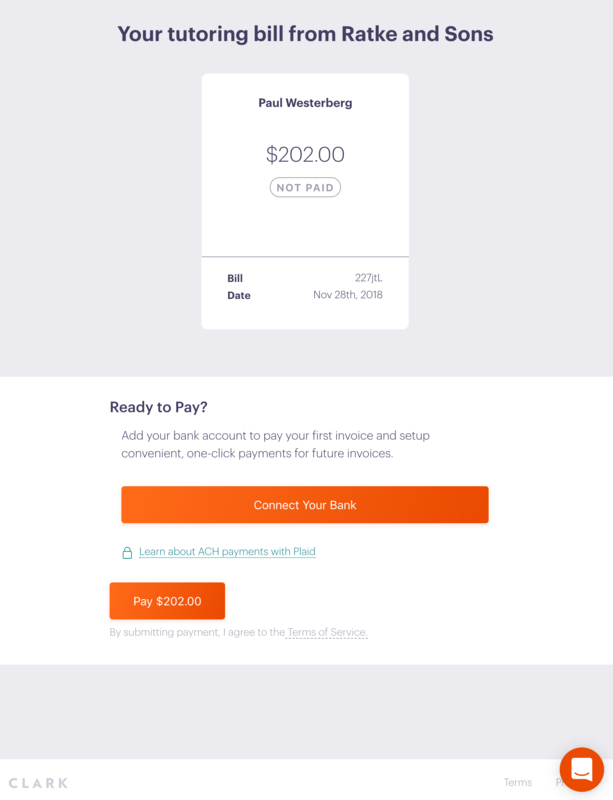 Select 'Set up payment' to preview the invoice and add your bank's information. That’s between you and your tutoring company! For example, if you’re typically charged on a monthly basis, you can expect to get billed once a month for your tutoring sessions. We recommend you have a conversation about this with your company's administrator. Yes, we issue full and partial refunds. If you feel you’ve been billed in error, please contact your tutor or send an email to Clark@hiclark.com right away. When you request a refund we’ll check in with your tutoring company about the charge in question. We will process a refund once we confirm an error has been made. Funds are typically returned to your credit card between 6 and 10 business days. Can I pay for my tutoring in cash? Sure! However, we won’t be able to send you receipts and track your sessions when you pay with cash for the time being.